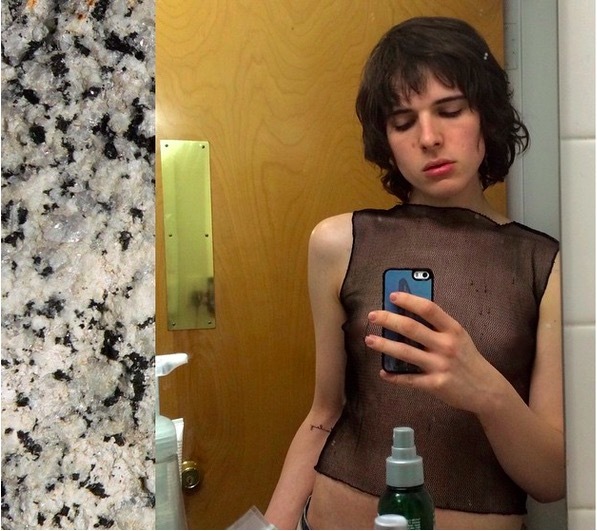 I found out about Hari Nef on Pinterest, where I have a board dedicated to my desire to find my transgender partner. Today I just saw her on Transparent, the Amazon series about an older transwoman, who makes her decision towards achieving freedom and happiness. Anyway, Hari looks fantastic on the show – remember, this is fantasy, it’s not life – and the show, this season seems (at least in the first couple episodes) to take it to another level from the stupendous start it had over a year ago. I also caught cameos of other transgender notables. You think Hari is pretty? I do. But talking about how beautiful some transgender women are is not what this post is about, nor is this website or any other property of Transamorous Network dot com. What this is bout the state of the nation…the transnation as I see it. Hari is just one more of a list of notable figures bound to emerge on society’s main stage as transpeople make their way to the mainstream. Meanwhile, many transgender women are living their ordinary lives far from stardom, experiencing their own lives, lives far from the fantasy we see in the media. There are plenty people talking about the challenges of being trans. I don’t lean that direction as I believe there is a divine plan in place which every transperson and transamorous person participates. There is a shift taking place right before our eyes. While Hari is at one end, there is a lagging, yet no less powerful other end emerging. That end is the rise of guys who aren’t going to shirk from their love of transwomen. The number of guys “out” about it is still miniscule. But that’s going to change. In the meantime, transwomen are going to find, more and more, refreshing changes in their environment as people like you, assuming you’re a transamorous male, begin to accept the natural part of you that you’ve been hiding or running from or avoiding. Maybe this post will do the trick. Maybe it will be the videos on the way, or the Man’s Guide to Finding Your Transgender Partner (due out in a few weeks). Or something I haven’t even begun to create. But the state of the (trans)nation needs you man. It needs you, not your partial self you are being when you hide from your social circle this dramatically important part of who you are. Hari Neff is hot. But you’re hotter. Because unlike Hari, your romantic attraction to transgender women can turn the life of a transgender woman on its head.